If you know me well enough, I'm all for cheap stuff. I mean, I've talked about it before on my Save 22 post and I'll definitely say it again here...I'M A CHEAPSKATE ASIAN. Or Chinese. Whichever is more cheapskate. That being I would go to mad lengths just so I could milk the most out of my every ringgit and today's post is no different. You know how beauty boxes and bags are a mad fad nowadays with pint sized beauty samples coming in sturdy boxes and pretty bags? Well I've always wanted to subscribe to one but with price tags such as RM 35 or RM 59.90 being pasted on them...I turned away. 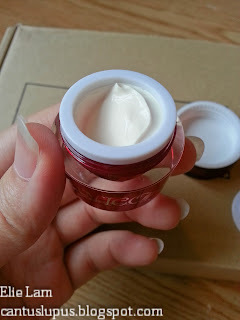 There is a little inch in me that refuses to part with my RM 35 for some beauty products. I mean...I could be eating Baskin Robbins instead! I'm just really stingy in that sense. I got really excited last week however when I saw Isabel talking about this thing called the Modbox that features beauty products for only RM 9! And the things inside looked really cool! It was one of those days when I woke up really late (Totally living the post-graduate life now especially when my dad doesn't wake me up for a morning run) and rolled over to check for new stories on Imotiv. I immediately got up and turned on the laptop and surfed the Modbox site hoping to get my hands on my very own one. 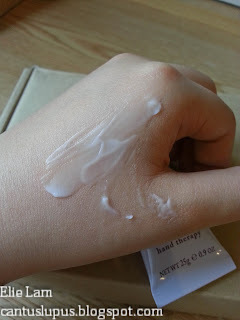 I was really lucky because I was just about to go out with my dad for my appointment with New York Skin Solutions (Another blog post will come up about that) when the PosLaju van came by and I got really excited to sign off my *own* package. I LOVE signing off my own packages! I LOVE surprises. Those are really good hints to everyone okay? I LOVE presents! My box was slightly dented from shipping though. Uncle PosLaju must have had some rough handling with this. 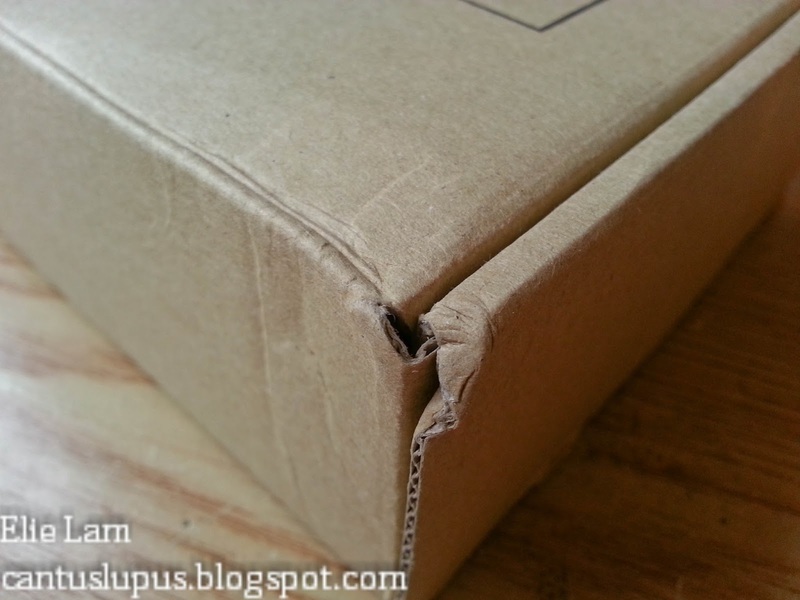 Are you feeling the excitement I felt a few hours ago when I ripped this open? Okay, I said a few hours ago because I signed the package off then left so I never got to open it as soon as it arrived anyway. But really, there's simply something about having the anticipation of opening a box that promises you greatness! 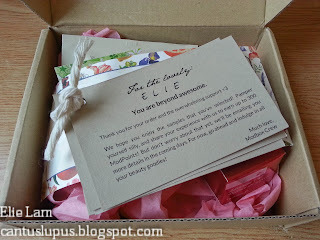 I think their staff actually does a personalization to your box and puts an extra effort in making sure that the right stuff goes to the right person with the right heart. I love this because then I know they're really putting their everything into making sure you're happy with what you're paying for even if it's just a tiny sum of money. You think I'm awesome, Modbox crew? Well I think you guys are awesome too! 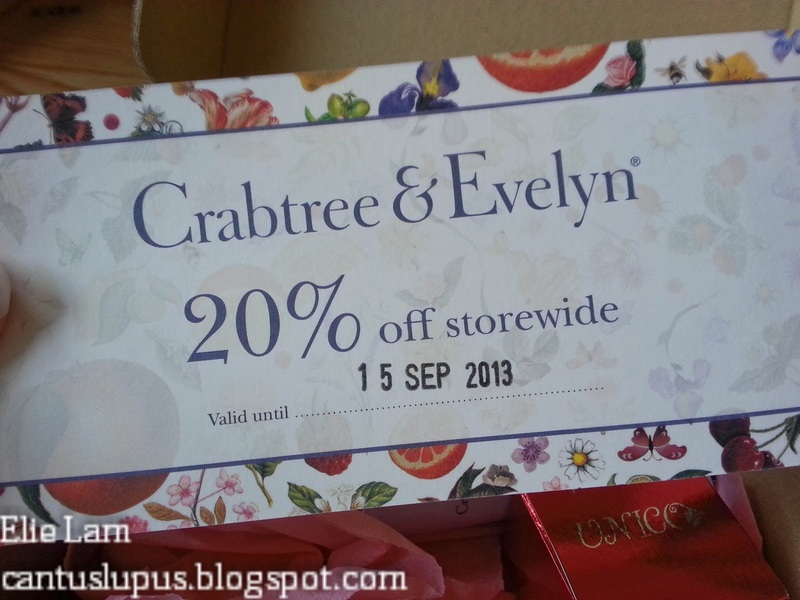 Crabtree & Evelyn voucher. 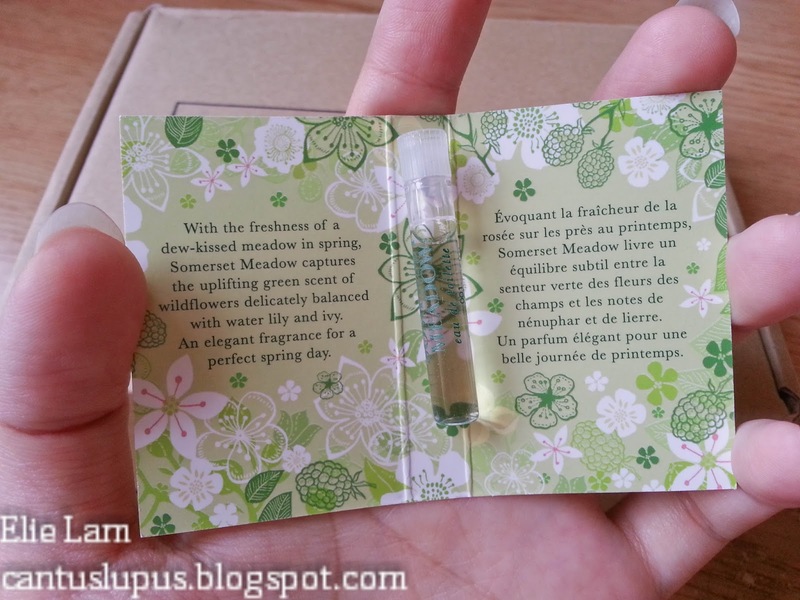 I LOVE their stuff because it ALWAYS smells so damn good! For RM 9, I think this is pretty good! Seriously, I know I got to take my own pick on the products I wanted but it's just still so overwhelming to see it stark in front of my face and in my hands. You see, the great thing about Modbox is that you get to pick out 3 items, one from each tier suited to what you would like before you make your payment. That way you know exactly what you'll be getting and what you won't if you don't like it! 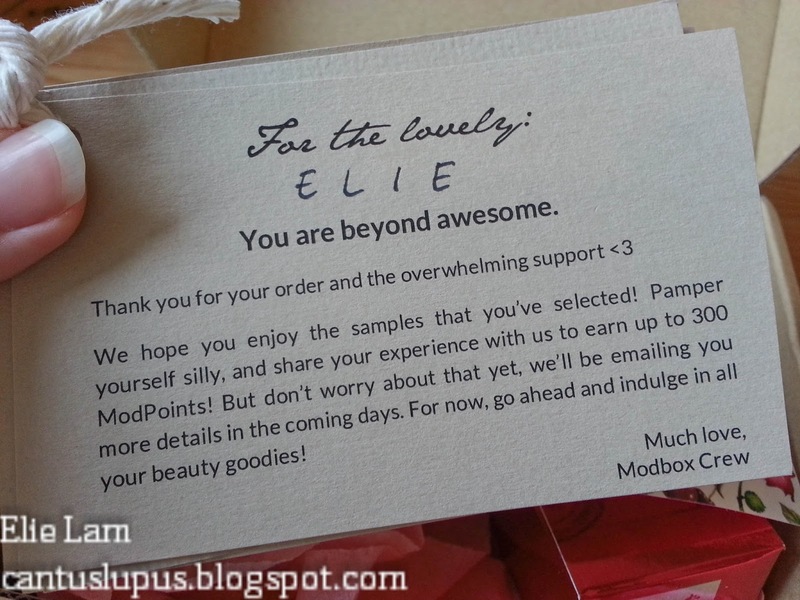 Personalization is the key in Modbox, I see. Have I ever mentioned how much I LOVE the scent of Crabtree & Evelyn's products? No? 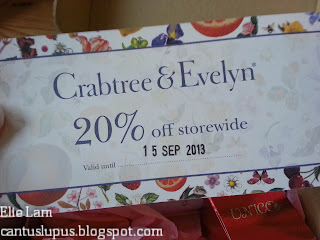 Well then, I LOVE the scent of Crabtree & Evelyn's products! 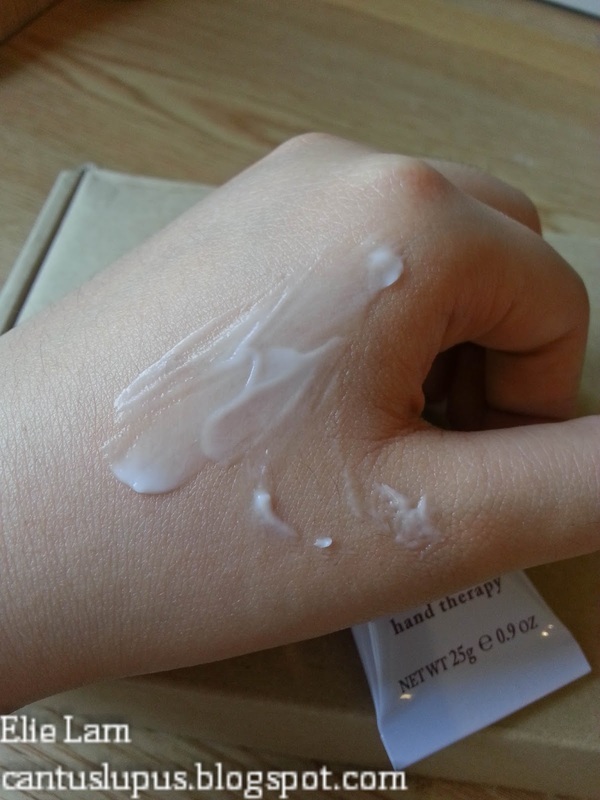 This ultra-moisturising hand therapy costs about RM 35 in store which completely makes the Modbox super value for money already! 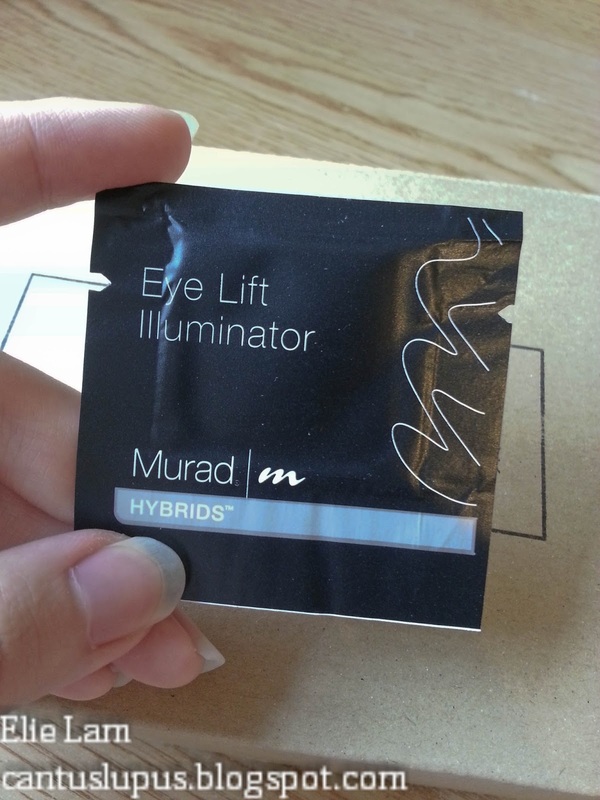 The 25g packaging also means I can just throw it in my handbag then use it at anytime I want to sniff it and get high hydrate my hands. It goes on hand without the sticky and disgusting feeling! 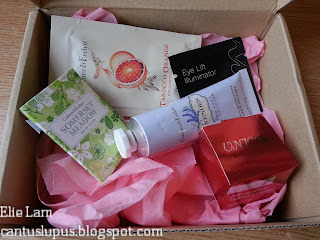 The Modbox special also gifted those who picked out the hand therapy with 2 extra Crabtree & Evelyn products (EXTRA JOY!!!) and they were both equally as awesome as the first! 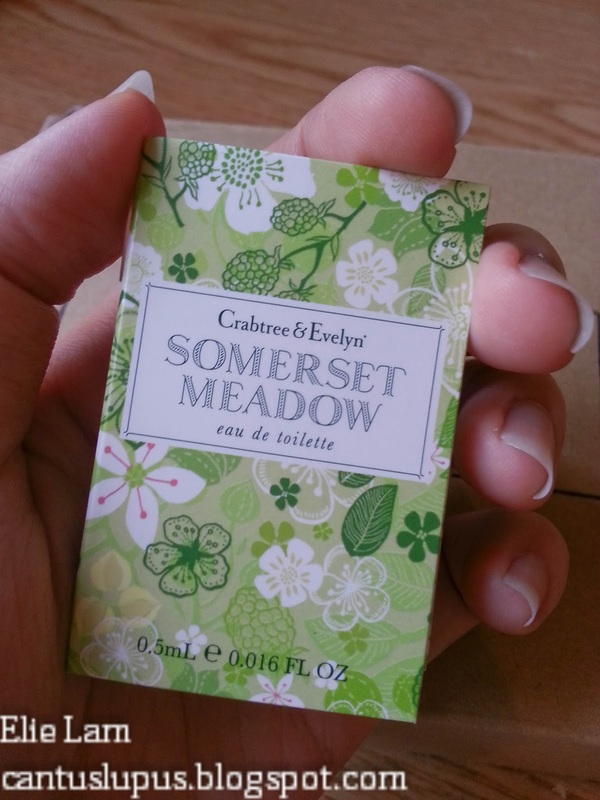 Crabtree & Evelyn's Somerset Meadow eau de toilette! Flowers and such! 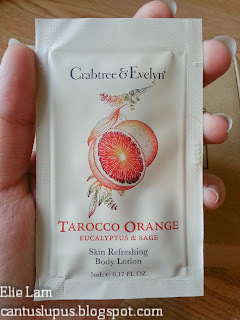 Alright, enough Crabtree & Evelyn goodness! Let's move on to the rest of the awesome stuff I got from Modbox! Promising to get rid of my puffy eyes and dark circles, I initially thought it would come in the tube package as seen on the website. I admit, I was a little disappointed to see that it was just a tiny packet but really, what would you expect for RM 9 right? Greedy Chinese Elie. 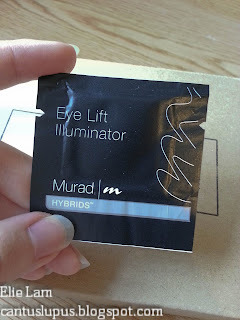 I haven't gotten to rip it and try but I've got super high hopes for this...or rather final hopes because my eye bags are just so out of control, I'm beginning to give up treating it. Photoshop shall forever be my best friend. Tiny but powerful okay? SPF 50 PA+++ cream don't play play! 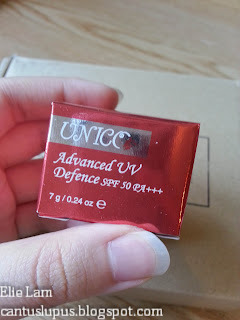 Truth be told, I've never heard of this brand but it was a tier 3 product that I had to choose and I figured I might as well pick out something that I most probably would use. It's important especially for Malaysians to always have some form of UV defense when we leave home because...it's always "summer" in Malaysia. Exposure to sun rays not only leads us to being prone to skin cancer but also causes pigmentation and such so...UV up or risk looking like a 300 year old person at the age of 30! 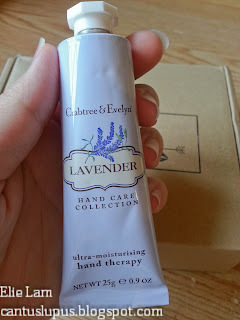 It's almost hard to believe that all this really just costs RM 9 from Modbox (excluding RM 6 postage which totals to RM 15) because like I've said...the Crabtree & Evelyn hand therapy itself is super worth it already! If they were to keep being RM 9, I think I'd forever be buying a box for myself. Plus I think it would make a super nifty gift...if you don't mind being labelled cheapskate. The thoughts is what counts, right? Bring on the next Modbox! I'm waiting to see what could come next!